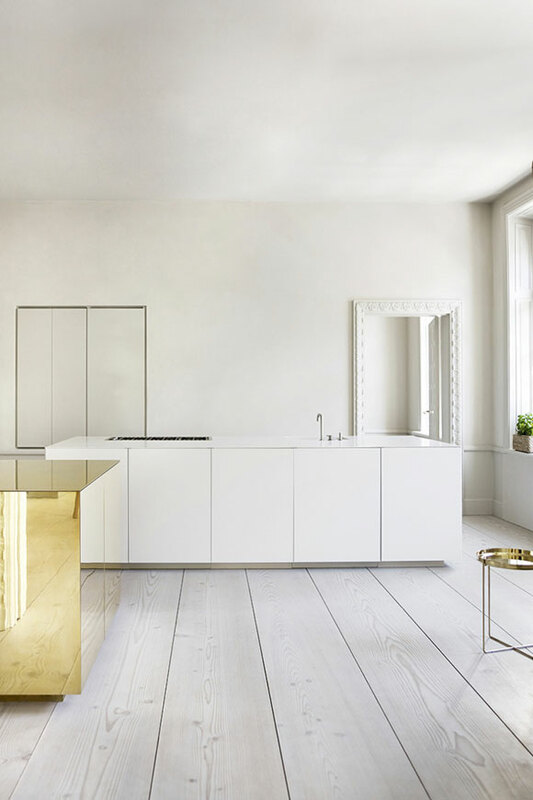 The design trio Claesson Koivisto Rune is behind this sleek, trendy and distinctive apartment in Stockholm. 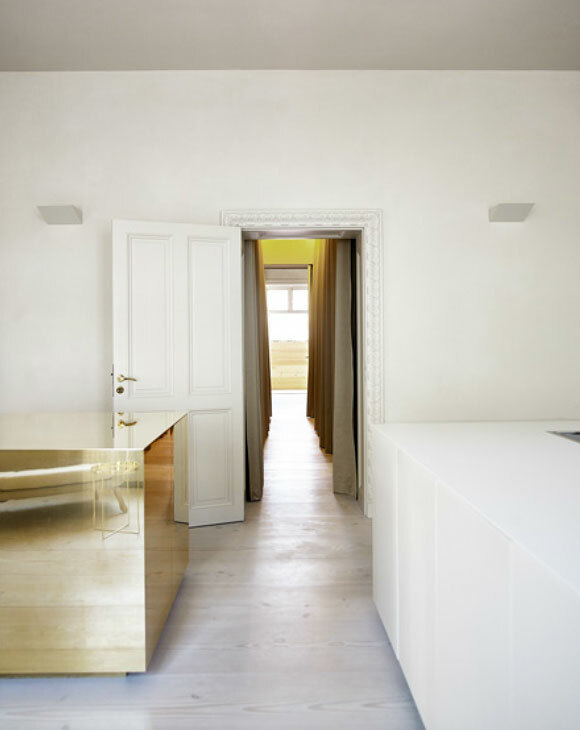 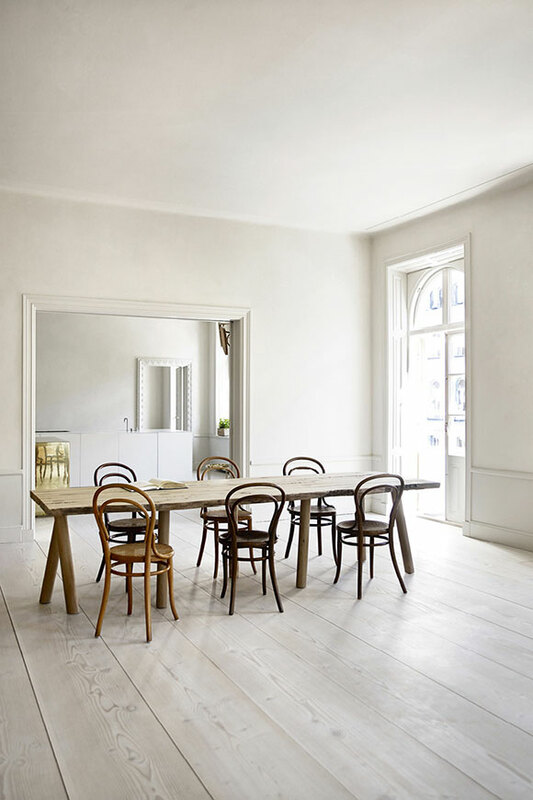 The place has a light color palette accentuated with gorgeous Dinesen floors and a large brass cube in the kitchen. 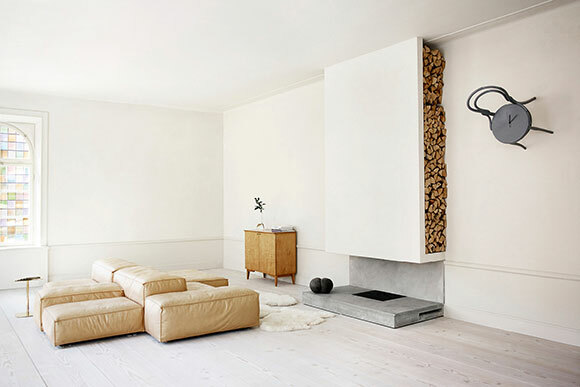 There are also numerous interesting and unique design elements, such as the Thonet chair/clock up the wall in the living room. 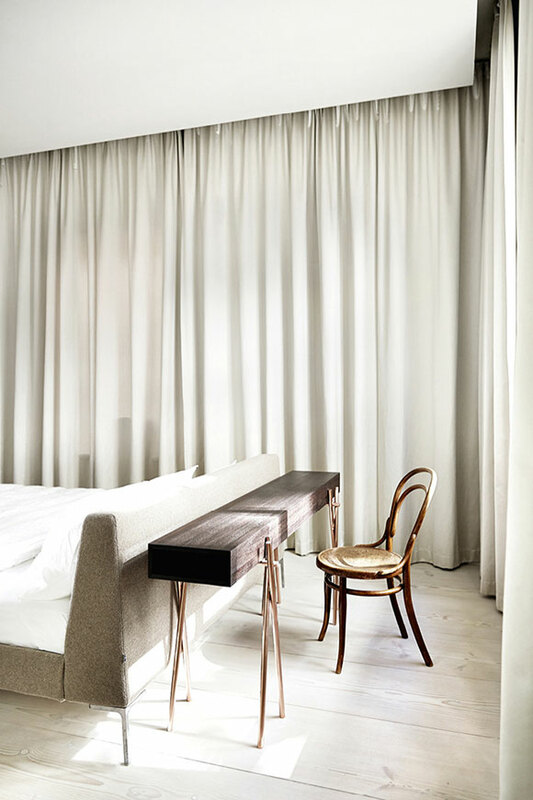 Careful details, quality finishings and a minimalist style – What’s not to love!? 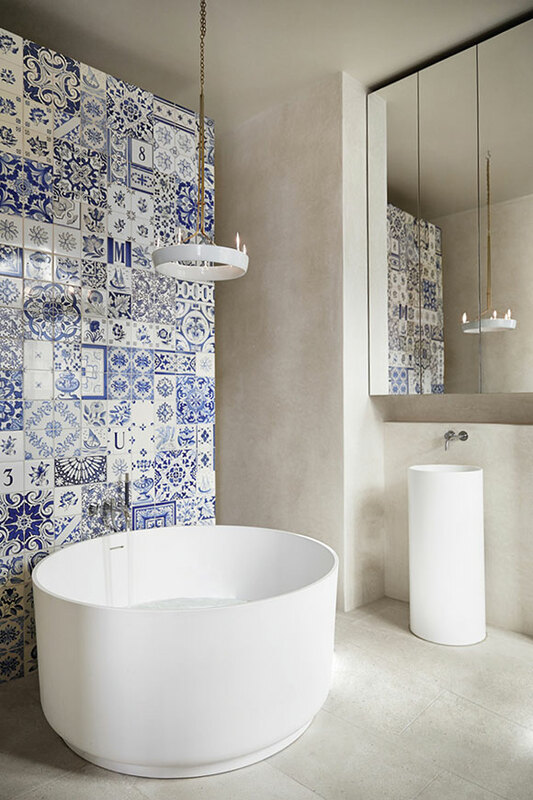 I would like to know the brand of the bathtub if anybody knows?